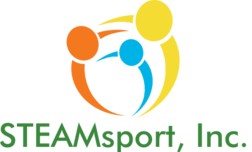 STEAMsport, Inc. is a 501-C3 non profit organization with the mission of providing science, technology, engineering, arts, and math (STEAM) exposure, engagement and education to youth living in underserved communities in a fun and competitive environment. Our goal is to break the cycle of generational poverty through accessible and effective STEAM programming that will open the doors to secondary education and STEAM related careers. STEAMsport, Inc. began as a group of 5 students from an underserved community wanting to compete in the First Lego League Robotics Competition in 2010. As the students began to apply hands-on learning, their interest and attitude toward STEAM increased along with their math and science grades. STEAMsport, Inc. continued to reach out to students in underserved communities, realizing that barriers to quality STEAM education in underserved communities included money, transportation and equipment. For this STEAMsport, Inc. brought mobile STEAM education to public housing communities, local community centers, urban schools and Boys and Girls Clubs. We have now served over 2,300 students providing over 9 STEAM programs, hosting 3 STEAM competitions, STEAM business hack-a-thons, and 2 computer coding and entrepreneurship summer camps. STEAMsport, Inc. believes that by making quality STEAM programming available to everyone, we can develop the next generation of great American technologist. It's for that reason that all of STEAMsport, Inc. programs are provided free of charge. William Oliver serves as the Executive Director of STEAMsport, Inc as well as the Resident Services Director for the historic H.J. Russell and Company. His success for providing youth with career opportunities spans over 19 years. As the External Affairs Director of the Integral Youth and Family Project, William provided students living in public housing with educational support and linkage to service providers that position students for secondary education. William's experience also includes guiding over over 3,000 low income families toward self-sufficiency, education obtainment and a series of focused career paths. William holds a B.A. from Bethune-Cookman University and an MBA from Troy State University. William has been married to Kimberly Oliver for 18 years and has two children, Mykierra 23 and William 17. "STEAMsport is a great program for my son it has been very educational and adventurous. He has gotten exposure that kids in underpriviledged communities don't normally get.My son has continued to grow as a young man with the guidance of Mr.William Oliver and with the help of others great coding instructions. Overall STEAMSport is a fantastic program." "My son has participated in the STEAMsport program for 4 years and it has increased his self confidence in coding, working effectively with a team, networking skills, learning the importance of volunteering, and internship opportunities. He is a tall guy but after his involvement in this program he walks with his head held higher. He has transferred the experience and exposure to his academic performance in high school. We appreciate you and the work you do with students, they are our leaders for tomorrow." "STEAMsport has been such a GREAT program for both of my children.Angel has been in the program since he was in elementary school, and he has enjoyed competing in FLL robotics, Sea Perch, FTC, and coading. Now he is in 9th grade. The program helped him to get into The Westminster Schools. Anthony has been in the program for a long time too, as a "shadow" because he was young. This now is his second year competing in FLL Robotics and Sea Perch." "Thank you so much for giving our children experience that they would've never been able to experience without this opportunity. Jordan talked my ears off last night bout being a co-pilot. Learning how to to calculate a flight course. Jordan hates math but he loved this. Now Jordan wants to become a pilot. He said its something about the air that makes him feel free. I just want to thank you again and again for being there for by boys. For being that male figure in their lives that they can look up to. "